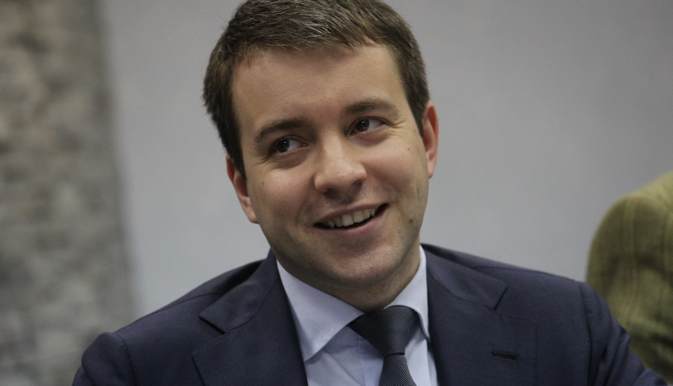 Nikolai Nikiforov, Russian Minister of Communications and Mass Media, spoke with RIR in an exclusive interview on the outcome of his recent visit to New Delhi, and outlined his vision for greater linkages within BRICS in the information and communications sector and his focus on setting a joint agenda against cyber crimes and monopolies. What did you discuss during your pivotal meeting in India with Ravi Shankar Prasad, Minister of Communications and Information Technology? This visit to India was just the first of a series of such trips that I will be making. After India, I will immediately head to China, and then, within a month, I plan to visit Brazil and South Africa. These are the BRICS countries, whose leaders will be meeting this summer at their next scheduled summit in Ufa, Russia. I will be meeting with my colleagues with one goal in mind. The fact is that the BRICS countries are already working together in various areas – meeting separately are the ministers of agriculture and finance. Until now, absent from the common agenda were contacts with regard to information and communication technologies, although their role, including through the widespread use of the Internet, is growing in all spheres of everyday life. This being the case, Russia has come up with a proposal, which we have officially sent to our colleagues, including those I already mentioned, to be included on the discussions agenda of the leaders in Ufa. In addition, this autumn, probably in October, we would like to hold a meeting of the relevant ministers in Russia. I plan to discuss the agenda of this meeting with each of the ministers personally, and obtain their support. My Indian colleague has voiced his support for this idea. Why do I feel that this is important? We all struggle with the so-called digital divide. This is the reason the program Digital India was created. In Russia, we have started one of the largest connectivity projects in the world – to connect all settlements of more than 250 people with high-speed Internet. Thus, 97% of the Russian population would have high-speed Internet access. Among other important issues are cyber security and the management of the critical Internet infrastructure. States must be sure that the Internet will work for them under all circumstances, and that no one, in some other part of the planet, could turn it off. Everyone shares this position. We are developing a set of measures that will allow us to be protected from any destructive effects in this direction. Did you discuss the further development of MTS in India? Yes, this issue was discussed. We are seeking fair treatment when it comes to protecting our investments, and an equitable approach. We hope that the interests of Russian investors will be given due consideration. The company Sistema Shyam TeleServices, 17% owned by the government, is an example of cooperation between our countries in the field of communications. In general, during the period of its operations in India, SSTL has invested more than $3.6 billion. For us, it is important that these investments be protected, and that the realization of these projects should bring benefits to the country as a whole, such as the elimination of the digital divide in India, which I have previously mentioned. Will a mechanism be developed to identify promising bilateral projects, as well as to maintain contact between you and the Indian minister? This is our second meeting. As for bilateral relations between our countries, for me, this would be an excellent development. Nevertheless, I would like to repeat, at the moment, our primary task is to create a multilateral agenda for the BRICS countries. Do you see good prospects for joint projects in your field of responsibility, within the framework of the BRICS, for example, on software? We are calling on the governments of BRICS countries, and their ministries responsible for information and communication technologies, to unite their efforts and provide support, including financial; via subsidies, grants, and tax benefits; to developers who are willing to work to create such products. In today’s world, we have less operating systems developers than creators of aircraft. It is obvious that no single country in the world, with the exception of the existing monopolies in this area, is capable of making a political decision to re-structure this market. We believe that this should happen naturally. The state should not become involved in a sphere that is not in its field of competence, for example. By placing a state order for an operating system, however, it can create the right conditions for companies. For example, if we, working together in each of the BRICS countries create a particular fund to provide grants to developers who will work together to create products, the users and owners of intellectual property, or make them all open source for use in other countries. We are talking here about mobile and server operating systems, databases, office products, in which we create documents, send and receive messages, as well as conduct video conferencing. This will benefit the entire world market, because this would break the current monopolistic system. No one company would control over 50% of the market. Today, in many spheres, one country controls over 90% of the market. In such cases, it is impossible to avoid abuse, and this fact is understood by everyone.